When I first heard about this product I was so excited. I have always known that vitamin C is an important ingredient when it comes to having a “complete” skincare routine but I had struggled for so long to find a good product that was potent yet not overpriced that I just gave up. 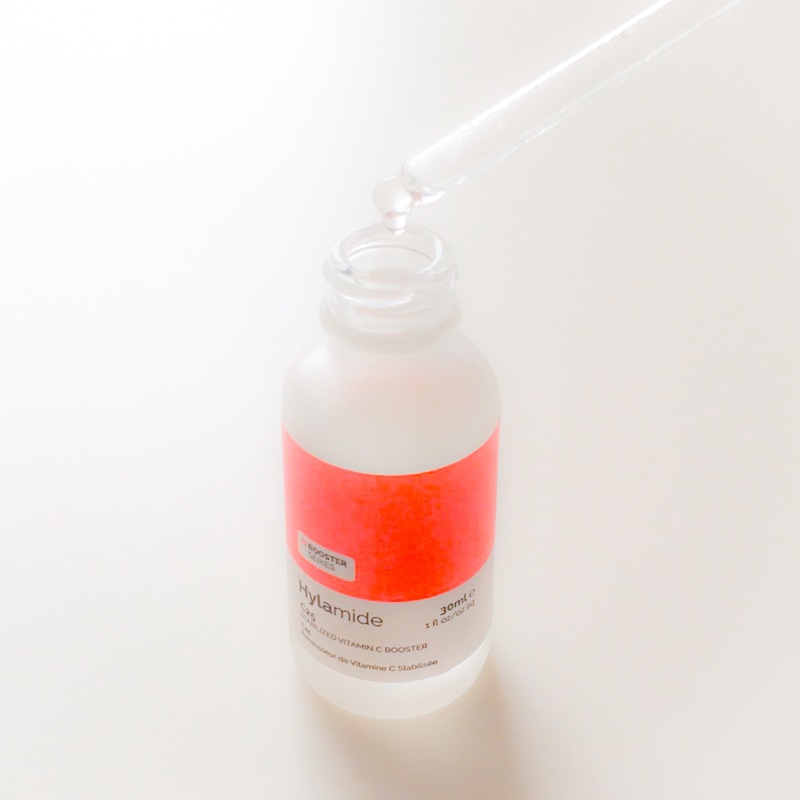 Thankfully, Deciem recently launched this product within their affordable beauty range, Hylamide and I could not be happier. C25 is a clear, almost odorless, oily (but still light) serum that harnesses the power of 25% ethyl ascorbic acid to tackle dullness, fine lines, texture and tone to promote healthy and radiant skin. This is supercharged skincare without the super inflated price tag ($33/£30 here). So, the reason vitamin C is such an essential ingredient is because it works to protect the skin from daily free radical damage that causes it to prematurely age (wrinkles, brown spots, sagging). It is a potent antioxidant that will shield and repair the skin, making it healthier and look more radiant. It will help deal with wrinkles and sagging by boosting collagen production and tackle brown spots (even PIH acne marks) by supporting the skin’s natural healing process. It also reduces inflammation and increases the skin’s defense against UV damage. 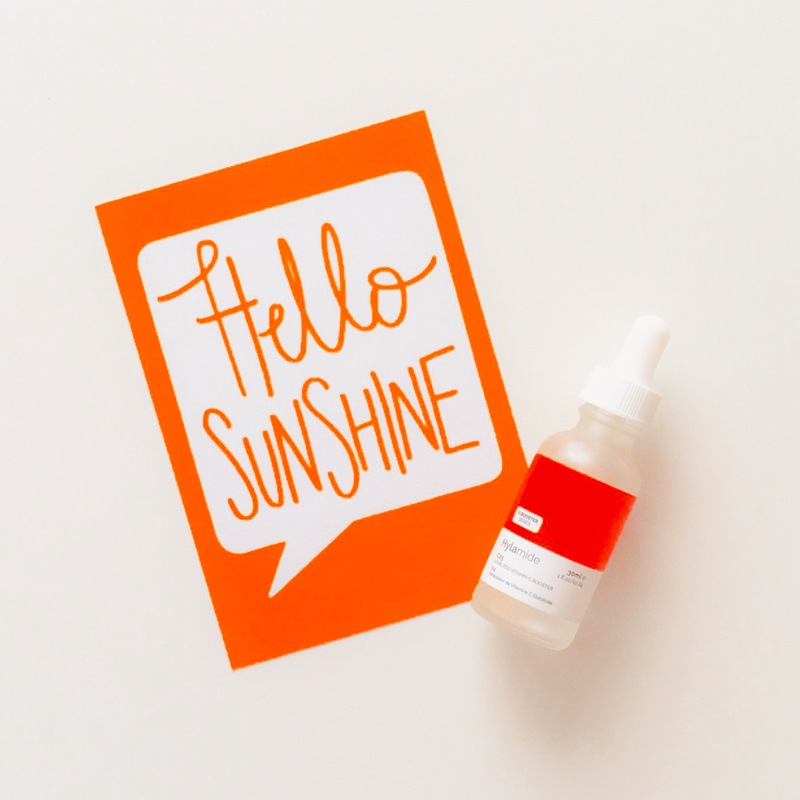 Unfortunately, it’s not always easy to get these great Vitamin C benefits from your skincare products because either there is not enough of it to see results or it isn’t stable and therefore will oxidize and become ineffective. The great thing about this serum is that it contains ethyl ascorbic acid, which is a stabilized form Vitamin C, so oxidization is not an issue. Not only that, the ethyl ascorbic acid is at 25% which is much higher than most products currently available. Aside from the ethyl ascorbic acid, this serum has other excellent ingredients. There are only three of them, ethoxydiglycol is just a solvent/carrier, but the other two are very interesting. First up is hydroxyphenoxy propionic acid. This is an important addition that will boost the skin brightening powers of ethyl ascorbic acid because it is a non-toxic form of the controversial skin lightening ingredient, hydroquinone. Next, phenylethyl resorcinol is a synthetic antioxidant that affects how pigmentation forms, so it is able to lighten and brighten dark spots as well as PIH acne marks. These three ingredients together will ensure your skin tone is bright, even and radiant. When it comes to using this serum, please be careful! The first few times I applied it I used way too much and my skin felt slick and uncomfortable. Unlike the other boosters in the Hylamide range, this one is not as watery and I have found it works much better when mixed with another product. Just two drops added to another serum, oil or moisturizer is the best way to go. I’ve even added it to my sunscreen when I wanted a minimal routine and it was totally fine. I have been using C25 for well over a month now and I definitely recommend it if your routine is missing vitamin C. More than just offering instant results, this is going to provide your skin with the defense and protection it needs to look better for longer. A lot of the damage happening to our skin is unseen until it’s done so this works as an excellent preventative measure. Also, Autumn/Winter is the perfect time to start using C25 because it will help to fix any summer damage and keep your skin looking radiant during the cold, dark months ahead. Hi! Love the look of your blog. Thanks for the review. Just one question – can you confirm that there is no wait time for this to be effective (unlike other C serums)? I’m assuming not as you are mixing it with your sunscreen. Hi! Thank you so much. ☺️ The wait time is usually based on the pH level of what you’ve applied before hand or what you will apply the Vit C with. I have found that because this is stabilized, there is no need for waiting as long as you layer everything correctly. I have to be honest and say I don’t really recommend this anymore. At first my skin loved it then a few months in really started to break me out. I don’t know if it was the change in the weather or my skin, but it didn’t end up working out in the end! I want to try the DE one, but am put off by the high price!!! I want to make sure I’m getting this right, you no longer recommend the Booster C25 from Hylamide? Thnx! I appreciate your honesty, I tried the C25 and it dried my cheeks a bit so can only use 2x a week and couple days between usage as well. I believe they have one with Vit F (oil) or I’m totally mixing up 2 product types. If that’s not an AHA (Vit F oil) I was thinking of. Then I’m thinking of trying that one.